Is Trails Carolina licensed and accredited? In order to be accredited and fully licensed, a therapeutic program needs to offer the highest level of care and safety for its students. 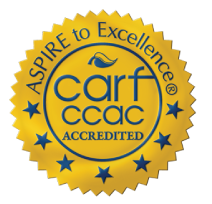 Trails Carolina is fully accredited by CARF International. We are also one of very few wilderness therapy programs accredited by AdvancEd for our academic curriculum. Will my child fall behind in school by attending Trails? We are unique among wilderness programs in that we offer a fully accredited academic program led by a licensed teacher in a classroom setting. Our accreditation is with AdvancEd, which makes it easy for students to transfer all of the credits earned at Trails Carolina to traditional school environments back home. What sets Trails apart from other wilderness therapy programs? Trails Carolina continues to set the highest standards for therapeutic, family, and academic success. Our academic program provides students with a traditional classroom environment combined with experiences in nature and with our equine therapy program. Our family programs helps rebuild and repair relationships with parents, child, and siblings. Our wilderness therapy program focuses on teaching students useful life skills such as teamwork, responsibility, self-awareness, and self-confidence in order to make a smooth transition back home after graduation. What if my child doesn’t want to go? Children do not have to want to attend our program in order to come. Some level of opposition to getting help is normal. 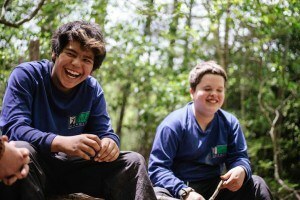 However, once students have attended the program for some period of time, they are typically happy their parents have chosen Trails Carolina. What level of family involvement is there? Family involvement is an integral part of our therapeutic program. We offer weekly family calls with your child’s primary therapist and family with family calls to help families repair and rebuild relationships. Parent and sibling workshops are offered as well to reconnect with your child and to better understand the program. Will my child be mixing with students of different ages and genders? No, students are grouped by gender and age. Age groups are divided by 10-13 year olds and 14-17 years. How will my child get to the program? Many parents travel with their child on drop-off day via plane or car. Some parents use transport services to pick up their child and take them to Trails Carolina’s campus. Is this a summer program or a year round program? Trails Carolina is a year-round program with rolling admissions. You can enter your child into the program at your convenience. Where is Trails Carolina located? Trails Carolina in the beautiful Blue Ridge Mountains of Western North Carolina. The natural beauty of the surrounding area, including over 500,000 acres of the Nantahala National Forest, provides the perfect backdrop for self-reflection and growth. What happens after a child leaves? Trails Carolina students practice transitions throughout the program– transitions with staff, locations, and base camp. These transitions mirror the real world where students must learn how to succeed in varying environments and with diverse set of individuals. 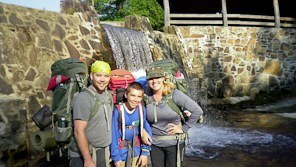 At Trails Carolina, our leading family services, wilderness therapy, academic work, and transitional practice helps create success for our students and their families back home.